Now here’s a man who is no stranger to this award, and even has the prestige ‘Sailor of the Year’ title to his credit, yet he continues to mellow and shine as he climbs the ‘age ladder’ in our wonderful sport! 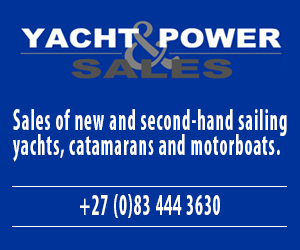 He is of course the evergreen Blaine Dodds – Hobie Cat supremo and doyen of the fleet for so many years now. 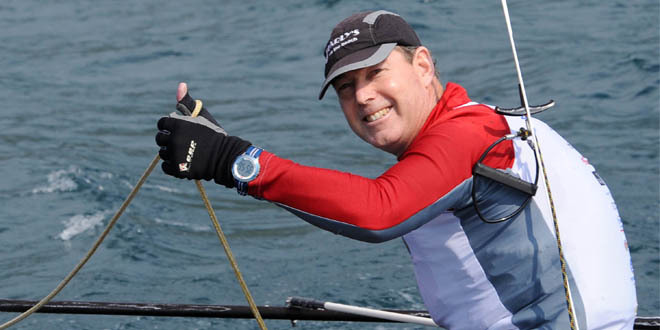 He was nominated for the award simply because so far this year he has won the Hobie Tiger Nationals off Langebaan, and then at the end of April he scored a come-from-behind victory in the final race of the Hobie 16 nationals off Port Elizabeth to win overall. I know that I have difficultly counting all his victories, and maybe Blaine does too, but until some youngsters take their sailing really seriously and put in the effort to beat him, he will remain top of the pile and continue winning titles. 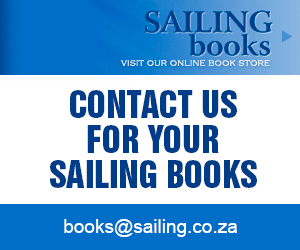 SAILING, in conjunction with MDM Marine Services and Raymarine sponsor the ‘Sailor of the Year’ Award. 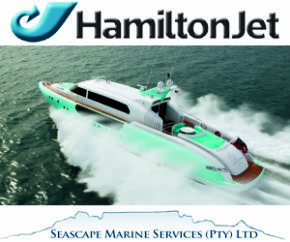 MDM Marine Services are the exclusive importers of Raymarine products into South Africa. 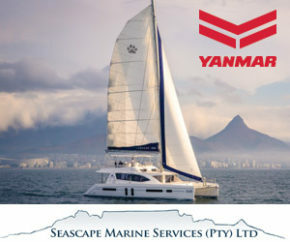 Raymarine are a world leader in high performance marine electronics for the recreational boating and light commercial marine markets.